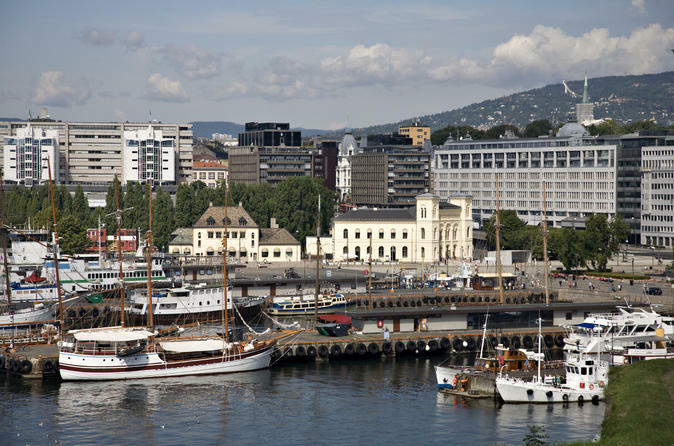 Enhance your sightseeing experience of Oslo on a half-day city tour of Norway’s capital. With a guide, travel to top sights by comfortable coach while delving into the rich history of the city. See the sculptures of Gustav Vigeland, stop for photos at Holmenkollen Ski Jump, and tour either the Fram Museum or Kon-Tiki Museum (your choice), as well as the Viking Ship Museum . Greet your guide by the west side of the City Hall and climb aboard a luxurious coach destined for the city’s top sights. Listen to commentary and cruise past iconic sights like Frogner Park, home to an impressive collection of sculptures by Norweigan artist, Gustav Vigeland. Gaze at more than 200 granite and bronze statues before continuing to the world-renowned Holmenkollen Ski Jump for a photo stop, used in the 1952 Winter Olympics. Afterward, the tour continues with a visit to the Viking Ship Museum ,and will return to your vehicle and bid your guide farewell at your original departure point.